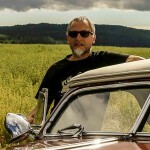 Custom Upholstery legend Bill gaylord shared his story and his scrap albums with Kustoms Illustrated magazine. We now show you the outtakes from the KI articles. In Kustoms Illustrated magazines issue 35,36 and 38 we, Luke Karosi and this author (Rik Hoving) collaborated on three articles on the history of legendary upholstery shop of Bill Gaylord. Luke Karosi assisted by Jeff Neppl visited Bill Gaylord in March 2012. 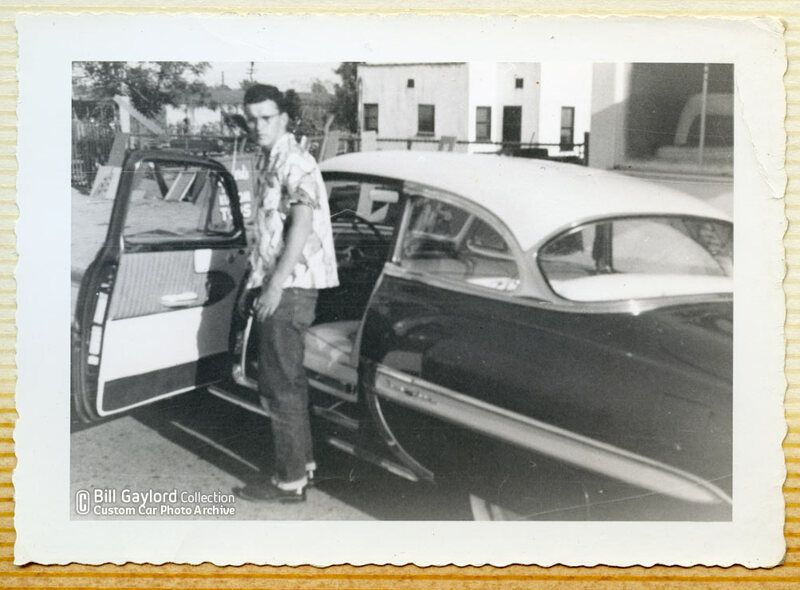 They interviewed Bill about the golden years of Customizing when Bill owned his Gaylord’s Kustom Tops shop. 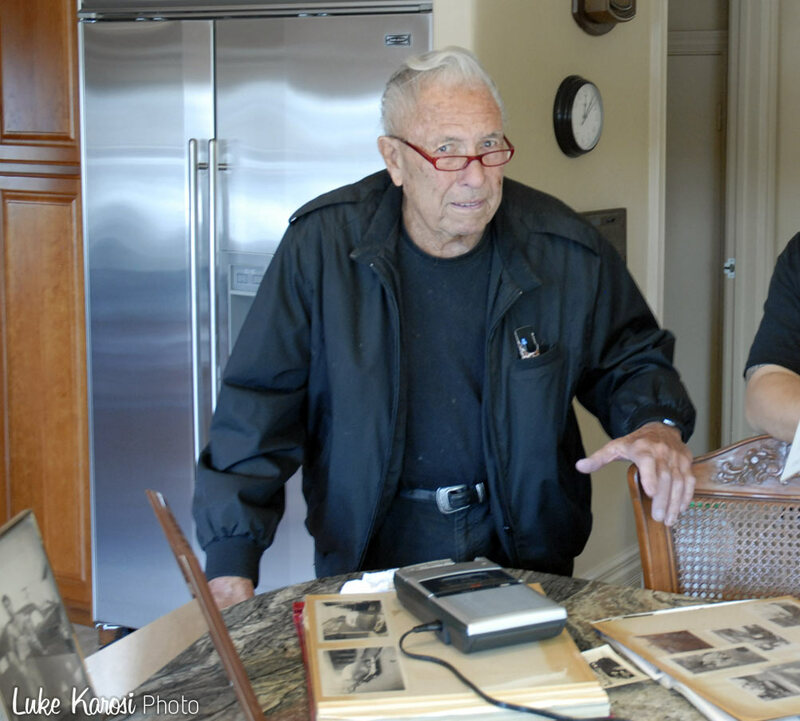 A large selection of material was scanned from several of Bill’s personal scrapbooks. We used a lot of this in the Kustoms Illustrated articles, but despite the article was spread out of three issue we still had some great outtakes. Material we could not fit into the reserved pages, or material that did not have the quality we where looking for with the magazine articles. 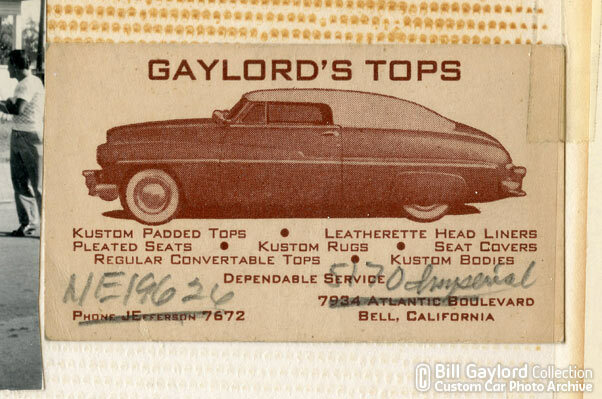 Time to show the magazine outtakes of the Gaylord’s Tops, the Story of Bill Gaylord, the upholstery legend Kustoms Illustrated Articles. Bill Gaylord during the interview in March 2012. In front of him his amazing scrapbook. This photo was actually used as the opening photo of the first article in Kustoms Illustrated, but since it was covered with text and in the center spread we wanted to show you the whole image. Bill’s 1949 Mercury with the padded top frame waiting to be upholstered, Ben Mario’s Barris-built Buick with Cadillac rear fenders, and Bill’s 1941 Ford are parked in front of the Gaylord’s shop… what a sight. 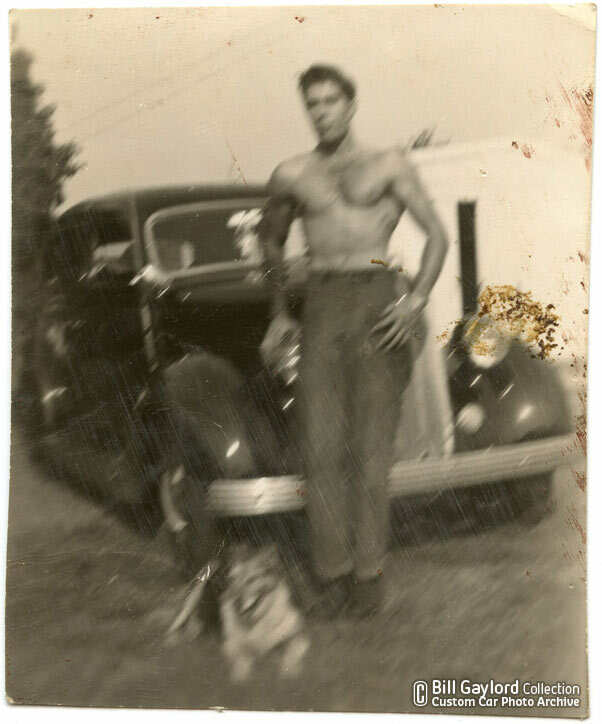 This fuzzy photo of Bill and his mildly customized 1936 Ford four-door was to blurry to be used in the printed magazine. But its a neat snapshot anyway. 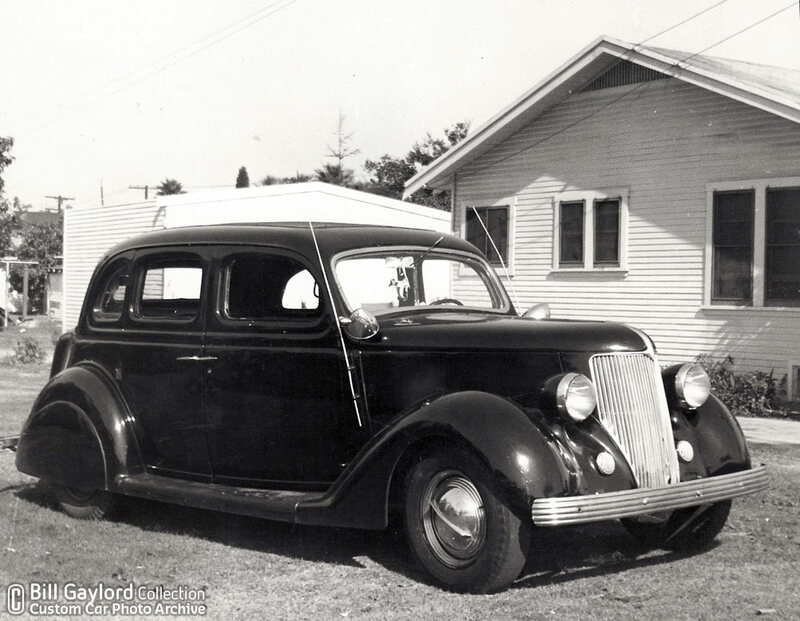 Here is a better snapshot of Bill in front of his ’26 Ford four-door. Ripple disk flipper hubcaps on black wall tires, ’37 DeSoto ribbed bumpers, skirts and Appleton Spotlights make this a very nice 1940’s cruiser. Bill love to push his weights as we can see in this photo. 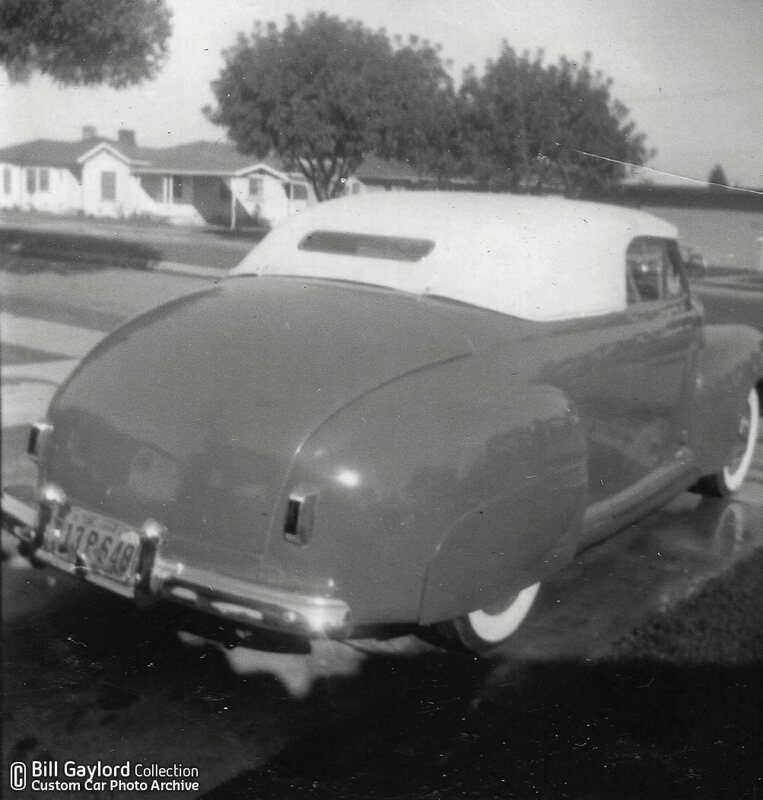 This picture shows just how nice Bill’s ’36 Ford was. 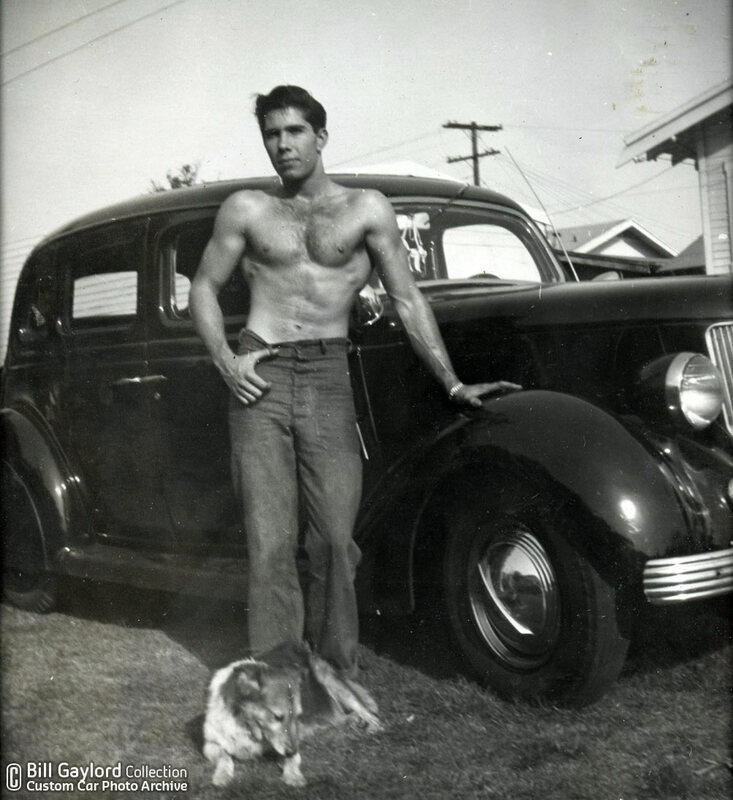 Bill owned several 1941 Ford’s in the 1940’s. This snapshot taken in front of Bill’s house shows a nice one he did the top and interior for. 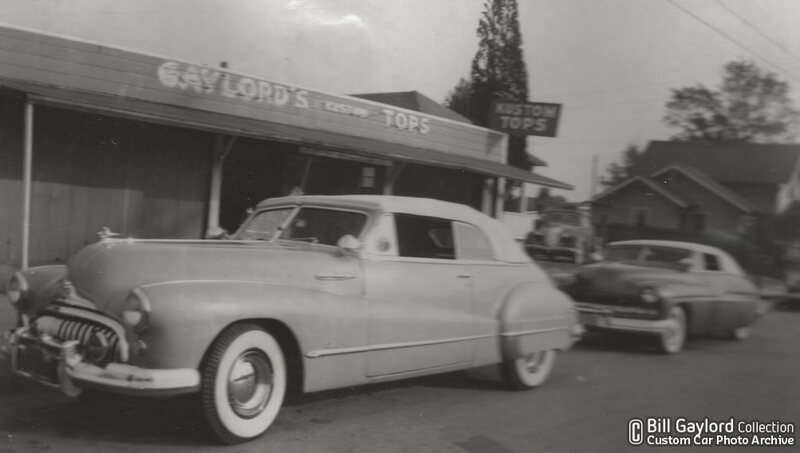 A bit blurry photo of a customers Buick and Bill’s own 1949 Mercury convertible parked in front of his shop. Late ’49, early ’50 photo of Bill’s 1949 Mercury convertible with chopped windshield and padded top with blanked out rear quarter windows. Bill was heavily into boats back then and had a hitch on this Merc to be able to pull his speedboat to the lakes. 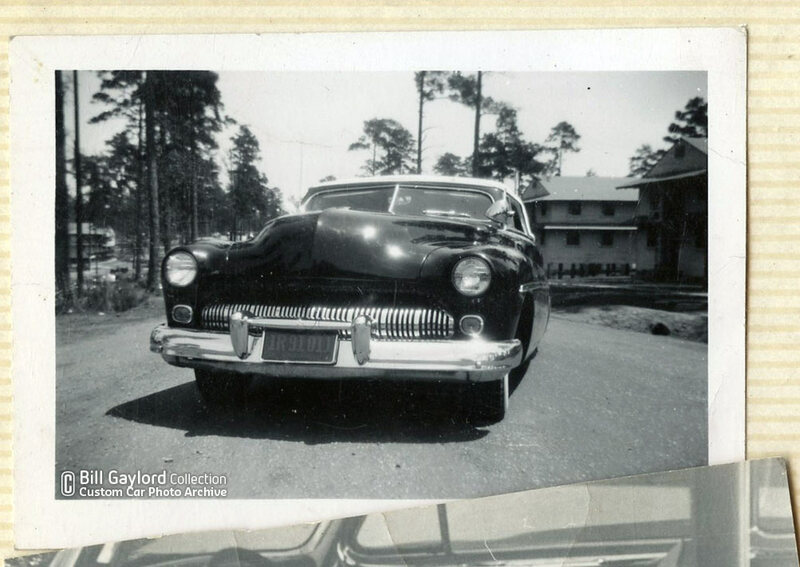 Scanned directly from Bill’s scrapbook is this photo showing the front of Bill’s personal 1949 Mercury. This snapshot shows the car with the later dark paint job. One of the old business cards Bill has left from his early 1950’s business. The card showed his personal ’49 Mercury. This nice framed photo shows Bill’s girlfriend posing with his ’51 Ford F1 shop truck. Art Chrisman did the body work on this car for Bill. We would have loved to use this photo in the Kustoms Illustrated article, but the photo could not be removed from the frame for making a decent magazine quality scan. And unknown 54 Chevy sedan for which Bill had just finished a full interior. 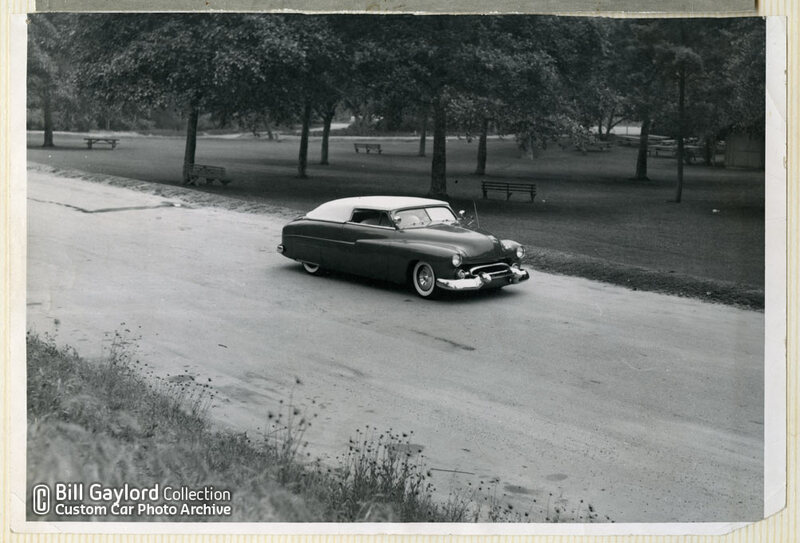 Another unidentified car is this ’49-50 Mercury convertible with chopped windshield and padded top. 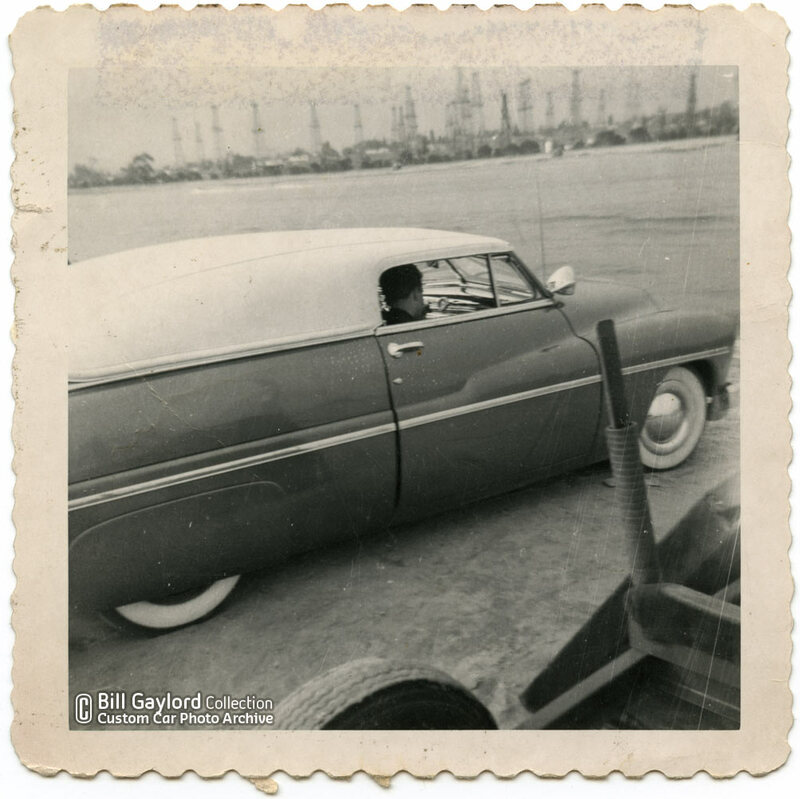 Sadly Bill could not remember anything about this car or photo.The Cadillac bumpers and Packard grille are an unique feature on this Custom. 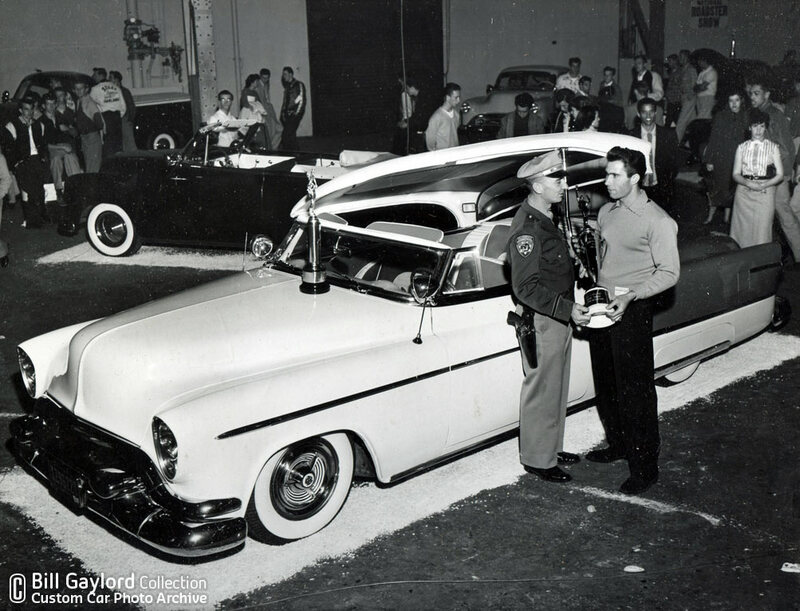 Bill receiving an big award at the Oakland Roadster show in the mid 1950’s for his ’53 Oldsmobile. This was another photo that was in a none removable photo-frame, preventing Luke from making a magazine quality scan. If you enjoyed this CCC-Article about the outtakes of the Kustoms Illustrated series of articles on Bill Gaylord, and if you do not have the three issue’s of KI, with these articles. 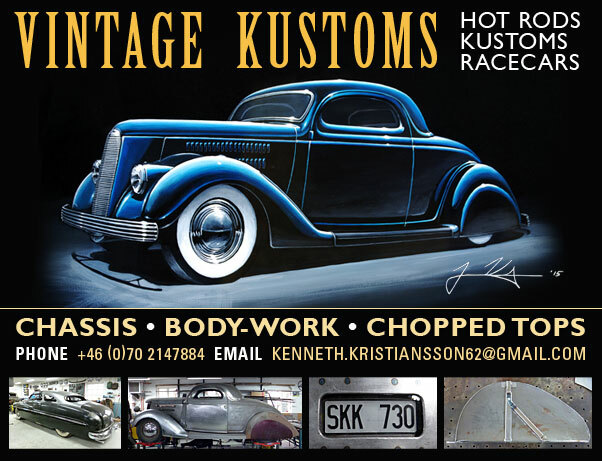 Then its time to get in touch with Luke Karosi from Kustoms Illustrated magazine and get them as back-issue. 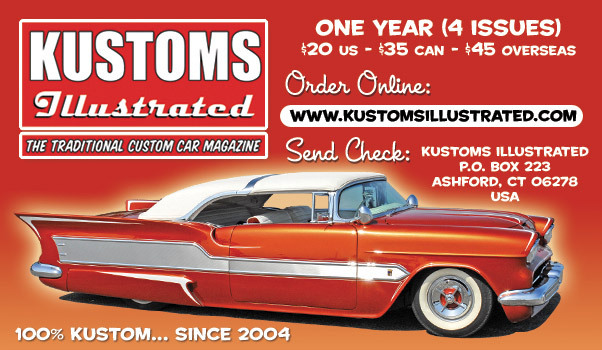 Click on the Kustoms Illustrated ad below to get to their website where you get contact info. 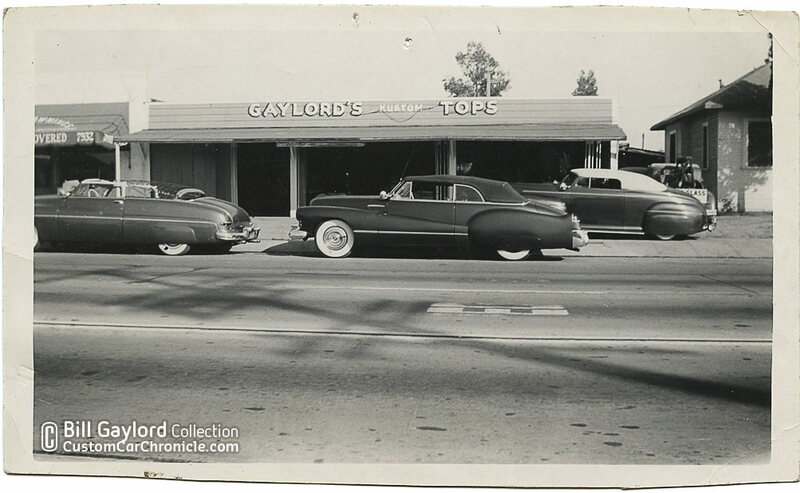 I have heard about the Gaylord shop truck but have never been able to find one. Would love to see more if you have any. 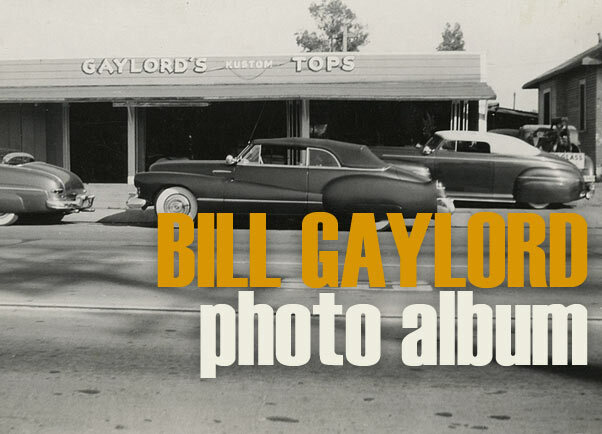 One of the greatest moments of my life was the day Jeff and I interviewed Bill Gaylord. I will never forget it. The man was sharp as a tack and talked about the old days with fondness and a gleam in his eye. One of the true legends of customizing who deserves way more credit than he got. Hopefully the articles in the magazine help rectify that a little bit. Thanks Rik!